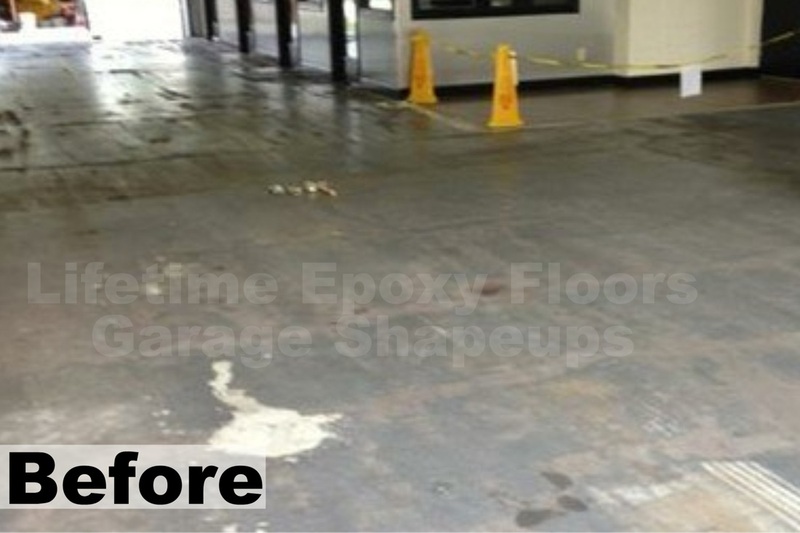 Look what our floor crew did for the Ray Pearman Lincoln Dealership in Huntsville. These before and after pictures tell the story. Call 1-800-214-4311 to schedule a free estimate. 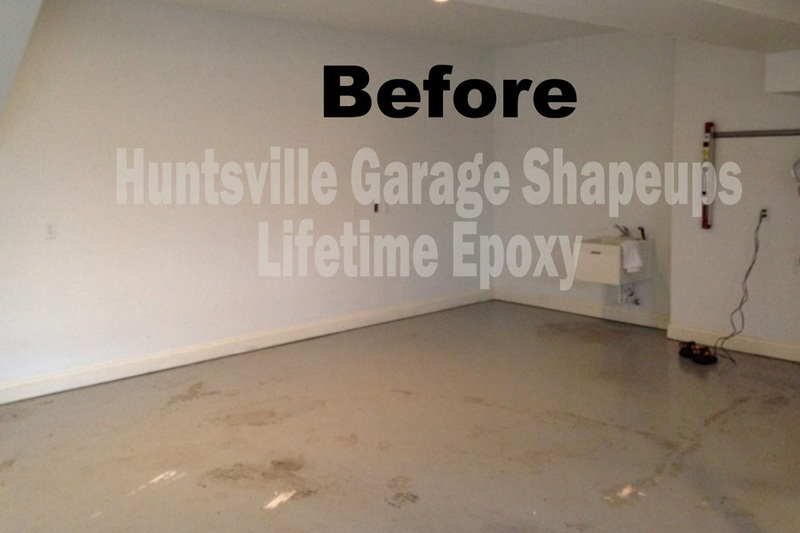 Huntsville Garage Shapeups installs epoxy garage floors all over North Alabama. Below is a typical install. It shows why we grind all of our floor surfaces before we pour the floor. 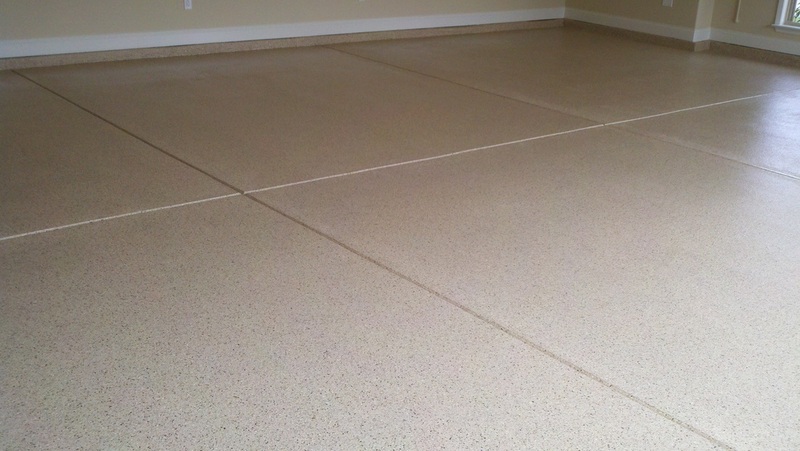 This insures that all of the bad floor blemishes are removed and that we get a solid bond to the concrete. 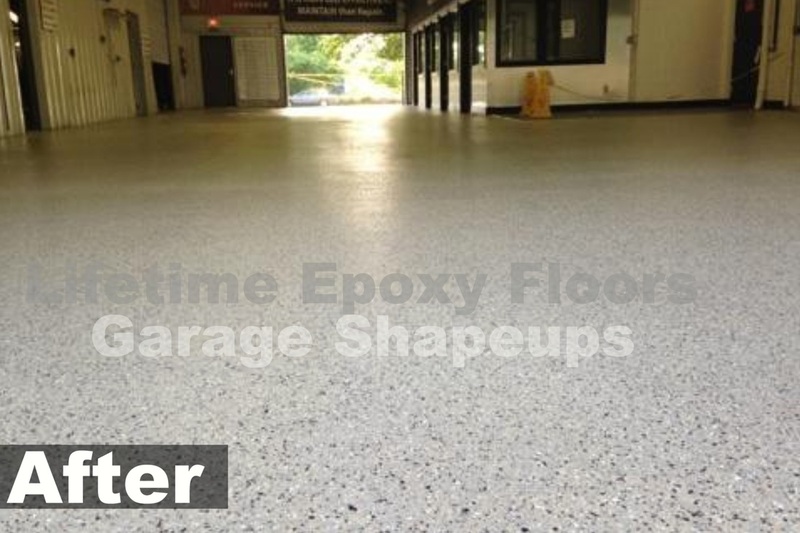 This Lifetime Epoxy Floor will last a lifetime and is backed with a warranty that covers it that long. 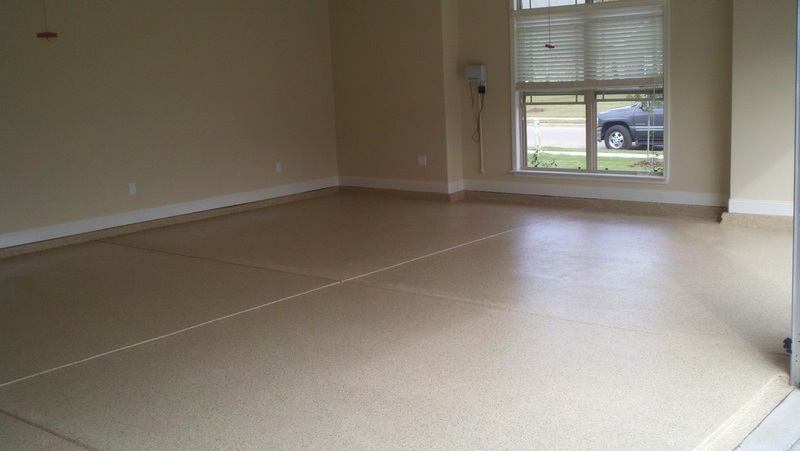 The floor below is one we installed in a home in the Ledges of Huntsville. 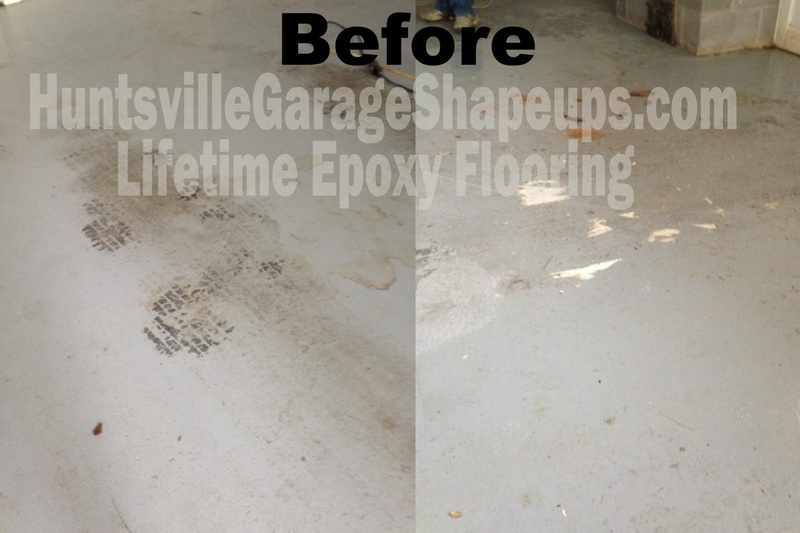 This 1100 square ft. garage had previuosly had two "floor paint" jobs, many stains, black tire marks, and several cracks. 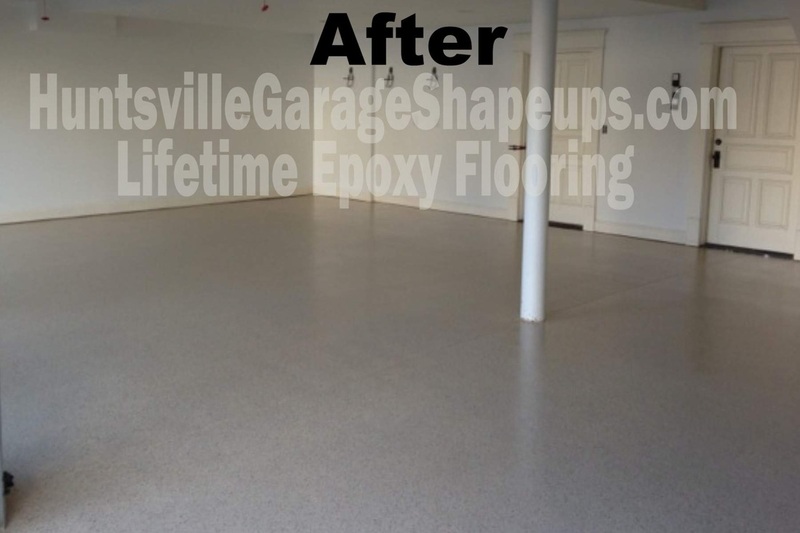 We repaired all cracks and grinded the floor to remove the stains and tire marks and to insure that the floor we install has a "solid-state" bond with the cement. 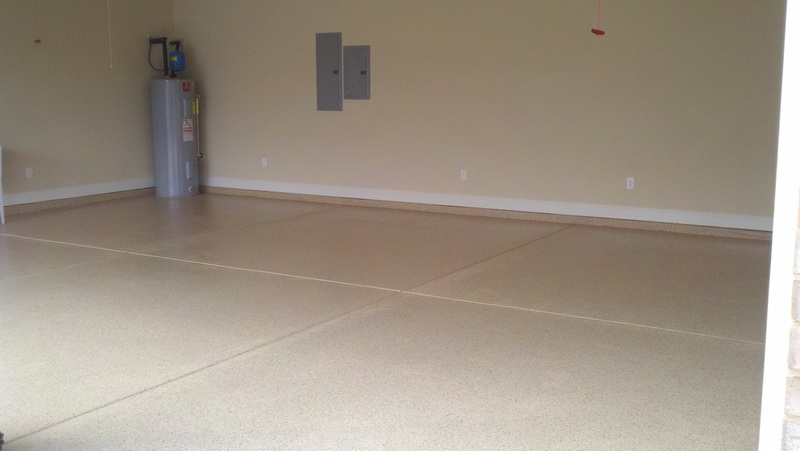 The results was a beautiful new floor finish that the homeowners were very pleased with. We offer free estimates. Call 1-800-214-4311 to schedule yours. 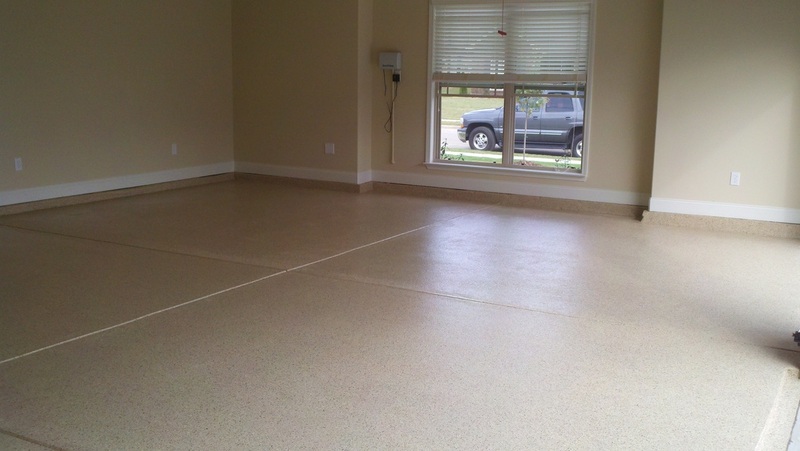 This is a floor installed this week in the Huntsville area. It is a screened back porch. You can see the happy homeowners have a totally new look. This floor will last a lifetime. It carries a 10-year warranty to car traffic. Porches and patios can be resurfaced and up-graded to look new. Cracks can be repaired and the surface is easy to clean and maintain. 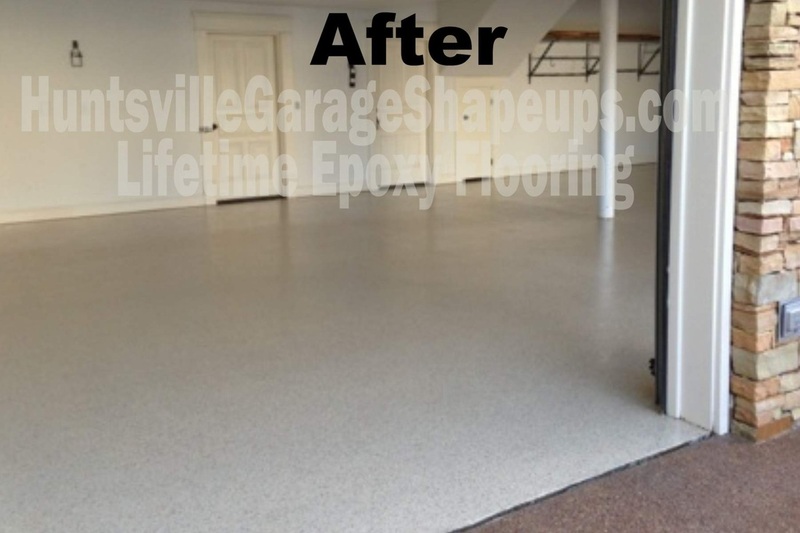 Another wise Huntsville/Madison County homeowner has invested in a new epoxy garage floor covering by Huntsville Garage Shapeups. 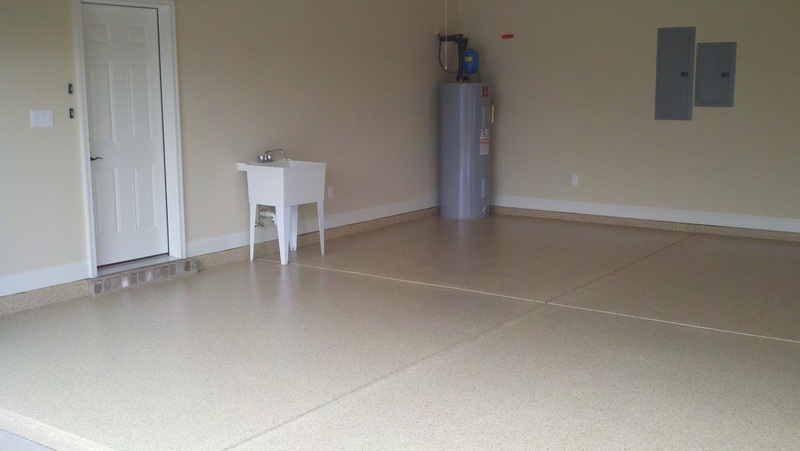 This happy homeowner has a beautiful new garage floor and a 10-year warranty that insure perfromance and protects his investment. Call Bill at 1-800-214-4311 to schedule your free estimate. There is absolutely no cost or obligation.